Celebrating Scotland’s Year of Food and Drink, the contract caterer behind many of Scotland’s most exclusive venues is preparing for a busy year ahead as it looks to support the year long Government initiative. Sodexo Prestige Venues & Events, catering and hospitality partner to 22 of Scotland’s leading venues, are keen to support the year long drive to ensure the focus of the world is on Scotland and demonstrate all it has to offer from its’ incredibly well stocked natural larder. Led by VisitScotland, in partnership with Scotland Food & Drink, on behalf of the Scottish Government, The Year of Food and Drink aims to increase and promote quality Scottish produce across the tourism sector and enhance Scotland’s global reputation as a Land of Food and Drink. A series of monthly themes highlighting key food and drink sectors will run over the course of the year and will include the likes of ‘summer berries and fruits’ for July, ‘sustainable shores’ for October and ‘hearty and heart warming’ for November. 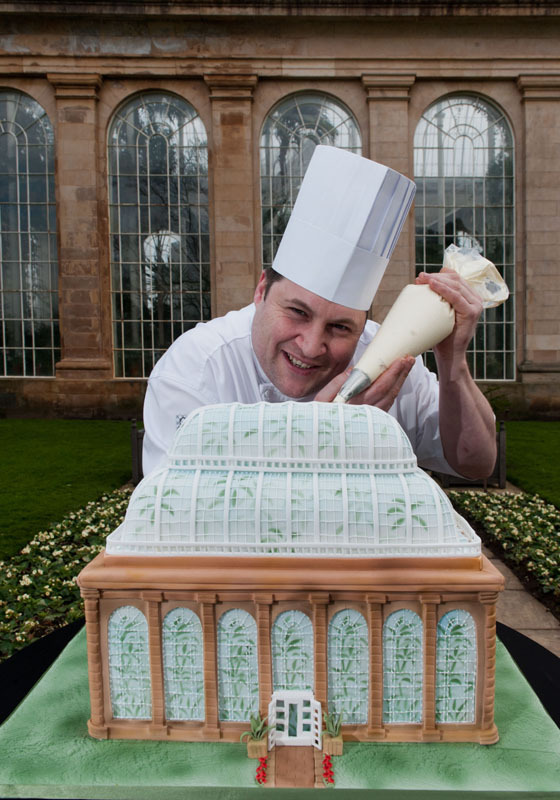 Sodexo Prestige Venues & Events are the exclusive caterers at the Royal Botanic Garden Edinburgh, an attraction which has received funding for food and drink events in 2015 as part of the ‘themed year’. Also behind Dundas, Blair and Balmoral Castles’, they plan to incorporate the monthly themes into their menus wherever possible, including the food available in their restaurants and cafés. The company is committed to the use of fresh, local produce in its menus throughout its large portfolio of top Scottish venues. It plans to host a number of public, private and corporate functions throughout the year in a bid to support and raise the profile of local Scottish produce. Amanda Brown, National Accounts Director for Sodexo Prestige Venues & Events, said: “This is an incredibly exciting and significant year for Scotland’s food and drink industry. “As a company that works with various local suppliers throughout Scotland, we truly feel that it is our duty to support the Year of Food and Drink as it celebrates our natural larder and showcases the excellent quality of food that we have on our doorstep. “We have therefore encouraged our venues across Scotland to host events related to the monthly themes, as well as having this theme incorporated into all menus wherever possible. Sodexo Prestige Venues & Events played a central role at VisitScotland’s funding launch in January, not only providing delicious refreshments, but also organising an impressive 3D cake of the venue’s iconic ‘Palm House’ building, which offered a magnificent centrepiece for the event, of which photographer, Gary Easton, was on hand to take photographs. The cake, which was created by Sugar and Spice, an award-winning cake designer based in Troon, gave a small hint of things to come from the top quality venue as it prepares to host Cake Fest Edinburgh on Midsummer’s Day, an event that will receive funding as part of the Year of Food and Drink. This unique event invites viewers to watch as an edible map of Edinburgh is created at the venue on Midsummer’s Eve. The event also includes free cake workshops for children, live music and entertainment, as well as a chance to sample some delicious authentic street food. The breakfast event also saw VisitScotland Chief Executive, Malcolm Roughead and Ian Edwards, Head of Events and Exhibitions at the Royal Botanic Garden Edinburgh; speak of significance of the Year of Food and Drink and what we can expect to see as the year progresses. Paul Mitchell, Catering Services Director for Sodexo Prestige Venues & Events, said: “It was great to have VisitScotland unveil the programme of events for the first six months of the year at our venue. “We are delighted to be so heavily involved in the Year of Food and Drink and are doing everything we can to celebrate it within all of our Sodexo Prestige Venues & Events venues across Scotland. Having just finished up with January’s theme of ‘traditional foods’, which looks to celebrate Scottish dishes such as Haggis, Neeps and Tatties, Sodexo Prestige Venues & Events will now turn to the ‘food of love’ to celebrate the theme for February.